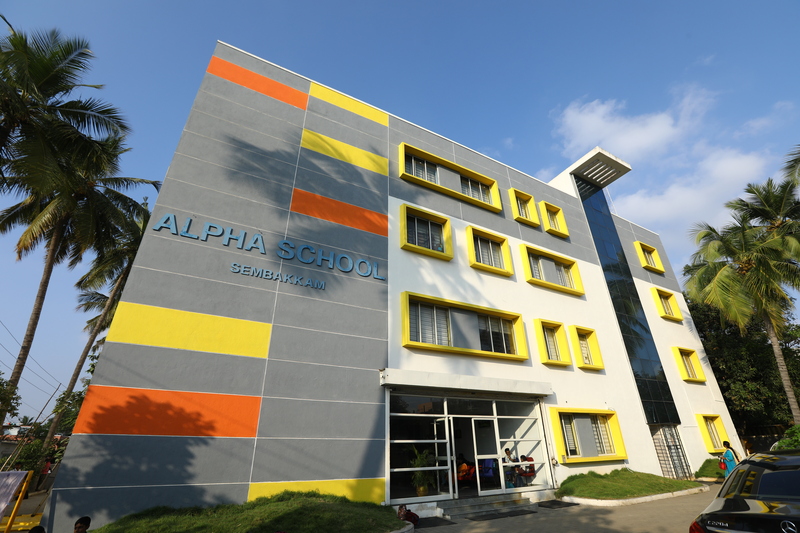 Alpha International School (AIS), established in the year 2015, is managed by the Alpha Educational Society. A student must have completed 5 years of age for admissions to class I and satisfy relevant age criteria for applying for successive higher classes. Students seeking admission in Grade 2 and upwards may be asked to appear for a written test, at the school’s discretion. Students coming from schools following CBSE or ICSE or State Matriculation board or any International curriculum may be admitted on the strength of their transfer certificate counter signed by the authorities of the educational board concerned, and a satisfactory record of performance in the previous school. Admission is subject to availability of seats in the particular class, and is at the school’s discretion. The student has to complete all pre-admission formalities such as submission of all documentation, payment of fees etc. before the admission is confirmed. For further details contact school office. What is the age limit for admissions into ALPHA? For admission to other Classes, the child should have successfully completed the previous level of study..
Can I get the school brochure? Do you admit children from overseas? Children from overseas’ schools are admitted in Alpha, subject to them passing the admission test conducted at the school. As Alpha follows tested teaching methodologies adopted globally, the transition of ward in the school is likely to be swift and stress less. Do you open mid-year admissions? Yes for Classes Pre-KG, LKG and UKG. However, for other classes, genuine cases like relocation and transfer are considered. What are the language options you offer? Mention the unique features that you offer for the students. Wi-Fi Enabled Learning Studios, Structured Reading Program, Integrated STEM Curriculum, NAT GEO program, British Council’s YLE (Young Learner’s English) Program, Field Trips, Holistic Development through Sports ,Club activities and after school activities. All of these activities are supported by trained faculty. Yes. Please contact the office for details regarding the routes and timings. Do you offer after school activities for the children? Art, Music, Handwriting, Athletics, Badminton, Skating, Karate are some of the proposed activities. These will be conducted based on registrations. What is the criterion for admission to the School? For KG, personal interaction session with the child along with the parent is required. For Grade I, oral tests will be conducted. For all other classes from Class II to VI, entrance tests in English, Maths& Science, will be conducted. Do you provide Snack/Lunch facility for children? KG Students are provided a nutritious and hygienic pre-packed pre-planned healthy snack every day. Primary children can opt for snack and or lunch at an additional cost and for menu of their choice. 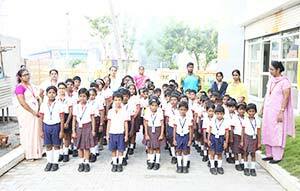 Founded by Late Shri M.G.Thomas, Alpha Group of Institutions’ offerings extend from Preschool to P.G. 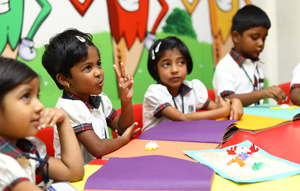 Since its inception in the year 1967, the Group has now grown and spread its branches under the direction and guidance of the Alpha Educational Society.